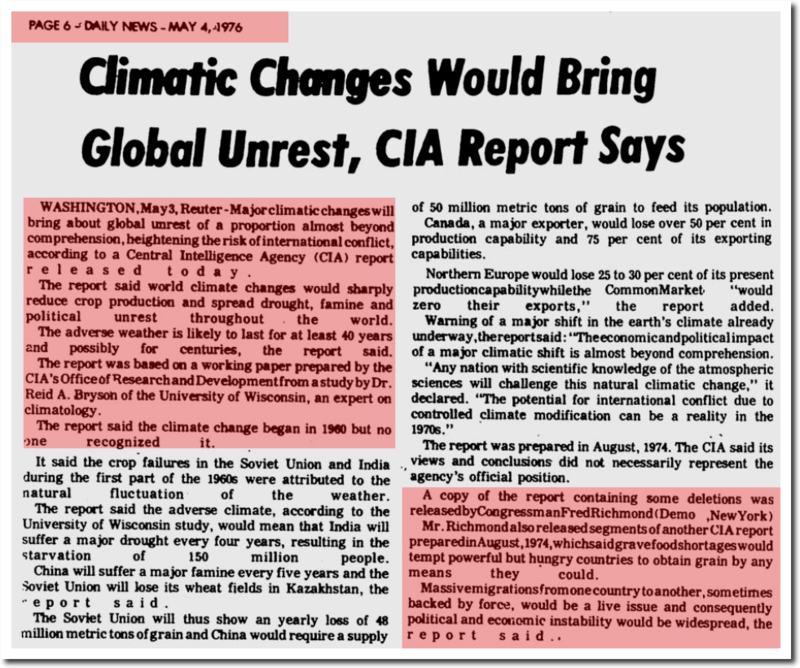 Forty years after global cooling killed us all, global warming is about to kill us all. climatic changes will bring about global unrest of a proportion almost beyond comprehension, heightening the risk of international conflict, according to a Central Intelligence Agency (CIA) report released today. The report said world climate changes would sharply reduce crop production and spread drought. famine and political unrest throughout the world. The adverse weather is likely to last for at least 10 years and possibly for centuries, the report said. It’s here. Seven million each year. Thank a leftist. When these ridiculous apocalyptic predictions are proven to be false… how come NONE of the authors EVER admit they were wrong? !